Blood plasma is separated from the blood by spinning a tube of fresh blood containing an anticoagulant in a centrifuge until the blood cells fall to the bottom of the tube. The blood plasma is then poured or drawn off. Blood plasma has a density of approximately 1025 kg/m3, or 1.025 g/ml. Blood serum is blood plasma without clotting factors. Plasmapheresis is a medical therapy that involves blood plasma extraction, treatment, and reintegration. Fresh frozen plasma is on the WHO Model List of Essential Medicines, the most important medications needed in a basic health system. It is of critical importance in the treatment of many types of trauma which result in blood loss, and is therefore kept stocked universally in all medical facilities capable of treating trauma (e.g. trauma centers, hospitals, and ambulances) or that pose a risk of patient blood loss such as surgical suite facilities. Reference ranges for blood tests, showing normal mass concentration of blood plasma constituents. Blood plasma volume may be expanded by or drained to extravascular fluid when there are changes in Starling forces across capillary walls. For example, when blood pressure drops in circulatory shock, Starling forces drive fluid into the interstitium, causing third spacing. Standing still for a prolonged period will cause an increase in transcapillary hydrostatic pressure. As a result, approximately 12% of blood plasma volume will cross into the extravascular compartment. This causes an increase in hematocrit, serum total protein, blood viscosity and, as a result of increased concentration of coagulation factors, it causes orthostatic hypercoagulability. Plasma was already well-known when described by William Harvey in de Mortu Cordis in 1628, but knowledge of it probably extends as far back as Vesalius (1514–1564). . The discovery of fibrinogen by William Henson in ca 1770 (ibid.) made it easier to study plasma, as ordinarily, upon coming in contact with a foreign surface – something other than vascular endothelium – clotting factors become activated and clotting proceeds rapidly, trapping RBCs etc in the plasma and preventing separation of plasma from the blood. Adding citrate and other anticoagulants is a relatively recent advance. Note that, upon formation of a clot, the remaining clear fluid (if any) is Serum (blood), which is essentially plasma without the clotting factors. The use of blood plasma as a substitute for whole blood and for transfusion purposes was proposed in March 1918, in the correspondence columns of the British Medical Journal, by Gordon R. Ward. "Dried plasmas" in powder or strips of material format were developed and first used in World War II. Prior to the United States' involvement in the war, liquid plasma and whole blood were used. The "Blood for Britain" program during the early 1940s was quite successful (and popular in the United States) based on Charles Drew's contribution. A large project began in August 1940 to collect blood in New York City hospitals for the export of plasma to Britain. Drew was appointed medical supervisor of the "Plasma for Britain" project. His notable contribution at this time was to transform the test tube methods of many blood researchers into the first successful mass production techniques. Nevertheless, the decision was made to develop a dried plasma package for the armed forces as it would reduce breakage and make the transportation, packaging, and storage much simpler. The resulting dried plasma package came in two tin cans containing 400 cc bottles. One bottle contained enough distilled water to reconstitute the dried plasma contained within the other bottle. In about three minutes, the plasma would be ready to use and could stay fresh for around four hours. The Blood for Britain program operated successfully for five months, with total collections of almost 15,000 people donating blood, and with over 5,500 vials of blood plasma. Following the "Plasma for Britain" invention, Drew was named director of the Red Cross blood bank and assistant director of the National Research Council, in charge of blood collection for the United States Army and Navy. Drew argued against the armed forces directive that blood/plasma was to be separated by the race of the donor. Drew insisted that there was no racial difference in human blood and that the policy would lead to needless deaths as soldiers and sailors were required to wait for "same race" blood. 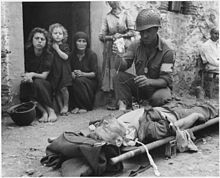 By the end of the war the American Red Cross had provided enough blood for over six million plasma packages. Most of the surplus plasma was returned to the United States for civilian use. Serum albumin replaced dried plasma for combat use during the Korean War. Plasma as a blood product prepared from blood donations is used in blood transfusions, typically as fresh frozen plasma (FFP) or plasma Frozen Within 24 Hours After Phlebotomy (PF24). When donating whole blood or packed red blood cell (PRBC) transfusions, O- is the most desirable and is considered a "universal donor," since it has neither A nor B antigens and can be safely transfused to most recipients. Type AB+ is the "universal recipient" type for PRBC donations. However, for plasma the situation is somewhat reversed. Blood donation centers will sometimes collect only plasma from AB donors through apheresis, as their plasma does not contain the antibodies that may cross react with recipient antigens. As such, AB is often considered the "universal donor" for plasma. Special programs exist just to cater to the male AB plasma donor, because of concerns about transfusion related acute lung injury (TRALI) and female donors who may have higher leukocyte antibodies. However, some studies show an increased risk of TRALI despite increased leukocyte antibodies in women who have been pregnant. Following fears of variant Creutzfeldt-Jakob disease (vCJD) being spread through the blood supply, the British government began to import American plasma to meet its needs. In 2002, it purchased Life Resources Incorporated to be able to secure plasma supply from the United States. The company became Plasma Resources UK (PRUK). It owned Bio Products Laboratory. In 2013, the British government sold an 80% stake in PRUK to American hedge fund Bain Capital, in a deal estimated to be worth £230 million. The sale was met with criticism in the UK, over both the oversight of the company, and the impact on British blood needs. Confusion arose as some thought that the blood of British blood donors voluntarily donating to NHS Blood and Transplant Services would be sold for profit. Currently, plasma donated in the United Kingdom is still not used due to concerns about vCJD, and is incinerated after component parts have been separated from it. Simulated body fluid (SBF) is a solution having a similar ion concentration to that of human blood plasma. SBF is normally used for the surface modification of metallic implants, and more recently in gene delivery application. ^ Dennis O'Neil (1999). "Blood Components". Palomar College. Archived from the original on June 5, 2013. ^ Tuskegee University (May 29, 2013). "Chapter 9 Blood". tuskegee.edu. Archived from the original on December 28, 2013. ^ "Ways to Keep Your Blood Plasma Healthy". Retrieved November 10, 2011. ^ a b Maton, Anthea; Jean Hopkins; Charles William McLaughlin; Susan Johnson; Maryanna Quon Warner; David LaHart; Jill D. Wright (1993). Human Biology and Health. Englewood Cliffs, New Jersey, USA: Prentice Hall. ISBN 0-13-981176-1. ^ Masoud M, Sarig G, Brenner B, Jacob G (June 2008). "Orthostatic hypercoagulability: a novel physiological mechanism to activate the coagulation system". Hypertension. 51 (6): 1545–51. doi:10.1161/HYPERTENSIONAHA.108.112003. PMID 18413485. ^ Wintrobe. Blood, Pure and Eloquent. ^ Starr, Douglas P. (2000). Blood: An Epic History of Medicine and Commerce. New York: Quill. ISBN 0-688-17649-6. ^ Hirsch, Eric (1991). What Your 1st Grader Needs to Know: Fundamentals of a Good First-Grade Education. pp 232–233. New York: Doubleday. ^ "AB Plasma Donor Program". NIH Clinical Center. March 20, 2008. Retrieved 2011-03-18. ^ "Female Plasma May Not Increase Risk for Transfusion-Related Acute Lung Injury". Medscape. October 23, 2007. Retrieved 2011-07-02. ^ "UK buys 'safe' blood supply for NHS". BBC News. December 17, 2002. Retrieved August 3, 2013. ^ "Bain Capital buys stake in UK government blood company". BBC News. July 19, 2013. Retrieved 2014-08-16. ^ a b "NHSBT reassures blood donors that Government's sale of PRUK does not affect them". NHS Blood and Transplant Services. ^ Joint United Kingdom (UK) Blood Transfusion and Tissue Transplantation Services Professional Advisory Committee. "Position Statement on Creutzfeldt–Jakob Disease" (PDF). transfusionguidelines.org.uk. Retrieved August 10, 2016.